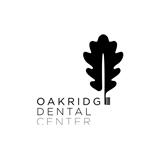 Oakridge Dental Center (Rochester Hills) - Book Appointment Online! This was a short appointment placing a permanent crown, and taking an impression for a replacement bite guard. All told, it took under one half an hour.